Standard labels can be customized with free clipart logo or monogrammed letter. 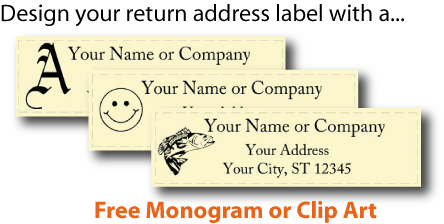 Create your own return address labels, change of address labels, property identification labels, or gift tags. Size 2.5″ x 3/4″.